$48.00 As Low As $0.31 ea. 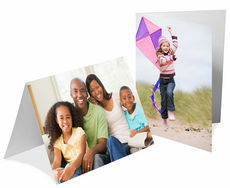 Set of 8.5" x 11" letter sheets featuring your photograph printed on white stock with blank envelopes. 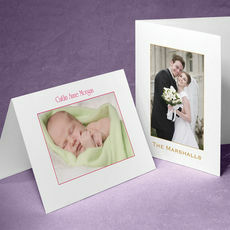 Includes your personalization in typestyle and ink color of your choice. 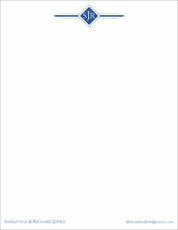 Our design guide offers positioning options for photos and text lines. Return address available. Sample shown in layout F.